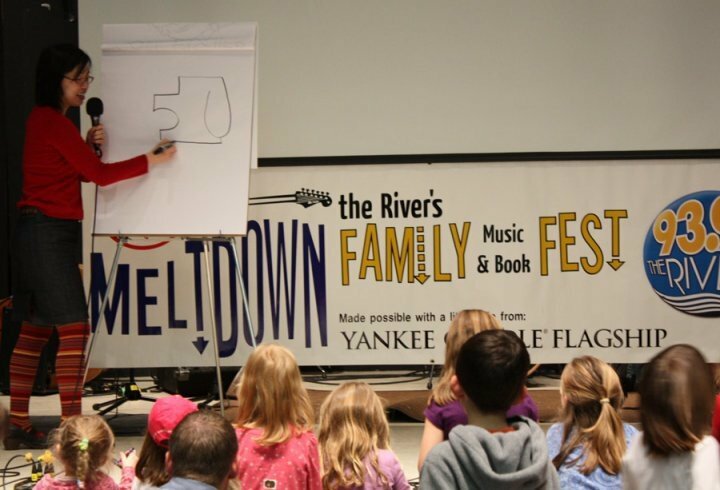 Last weekend, I "performed" at The River's Family Music Meltdown & Book Bash (which was organized in part by Lunch Lady author Jarrett Krosoczka). In between musical acts, authors gave a book reading. 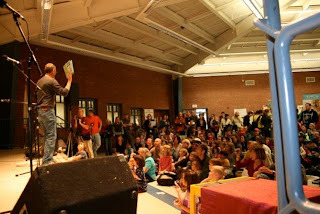 It was a loud, fun & energy-packed event, with great authors and rock bands. But it was also a bit challenging for me--not because the kids or people were rude, but because the venue was so large with so many other things going on (vendors & food in the back, lots of people walking around). Enormous crowds are not my forte. But, I think I did okay. 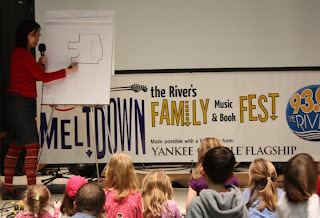 I've done so many school visits that I'm not really nervous onstage anymore. I was able to get about 30% of the audience's attention, which was still pretty good. It was quite impressive. And it reminded me of Meghan's thoughts about talent and Libby's post about what it takes to succeed as a novelist. 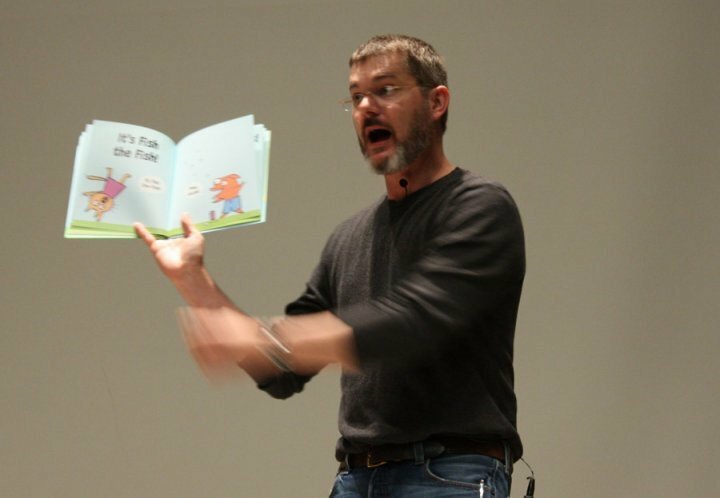 The truth is, I've worked and worked to become a better public speaker. And I've gotten much better at it. I'm proud of that. But when I see a speaker like Mo, I realize that no amount of practice will ever make me a public speaker like that. It is a pure talent that sets him apart. Just as I feel when I am faced by another author's amazing book, it is impossible not to acknowledge a superior talent. But strangely, this doesn't cause me great despair nor will it stop me from continuing and trying to get better at it. I think Mo will always be a great speaker, in any environment, continually and without exception. Me, maybe, once and a while when all the right elements combine & I keep working at it, I feel I can get a glimpse of creating that myself. And that's enough.